If you are looking for a business opportunity that you can easily grow in New Mexico, then the BBQ and grill cleaning business is a good place to start. Do not worry about how much money you will need in order to grow this business. You do not even have to fret about the need to have many years of experience just to be familiar with this type of business. You do not need a lot of cash or even years of experience to learn this business by heart. In fact, you can start your business without worrying about royalty fees because we are not a franchise requiring you to pay one. At The BBQ Cleaner, we also get requests from residents in New Mexico but we are still looking for people like you to help us reach out the four corners of the state. This is indeed a lucrative business where you can work according to your availability and charge rates depending on the services you have rendered. We are also here to walk you through the entire process for you to optimize your success. Why Start a BBQ Cleaning Business in New Mexico? Favorable Weather: New Mexico is known for having a moderate weather all-year round. This means that more families spend their time grilling outdoors whenever they feel like it. You can look forward to meeting the demands of these families for grill cleaning services. Plenty of BBQ Activities to Enjoy: There are plenty of culinary activities in New Mexico which include roasting and grilling. There is indeed a large market for grill cleaning services in the state. Little to No Competition: What is good about BBQ and grill cleaning services is you do not have a lot of competitors along this area especially in New Mexico. Very Much Scalable: Afraid that you need a lot of vehicles and more people to help you? Don’t be. You can grow your business only when the need arises. How Does The BBQ Cleaner Help You Get Started in New Mexico? Our all-in-one package will help you get started, but at The BBQ Cleaner we help you grow your business successfully by giving you access to our on-going lifetime business support. We have been established in 2009 and since then we have already more than 180 operators in the US. We have also been recognized as a global leader in the BBQ and grill cleaning industry thus you can be sure there is no one better than us to help you maximize your earning potential. 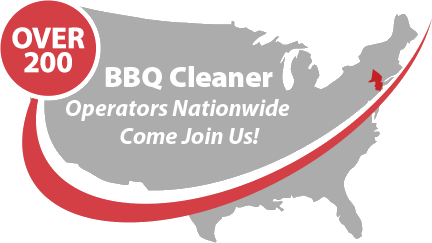 Talk to us today to find out more about this stellar BBQ cleaning business opportunity in New Mexico!